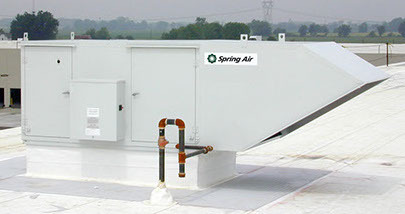 Spring Air Systems offers indoor and outdoor supply air units for a wide range of commercial kitchen settings and supply air requirements. 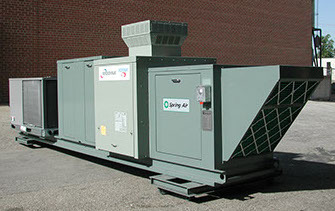 Our own indirect-fired unit is ideal for applications where fresh air is required or direct-fired units are not permitted. We also offer direct-fired units made by AbsoluteAire that provide maximum combustion efficiency and energy savings.